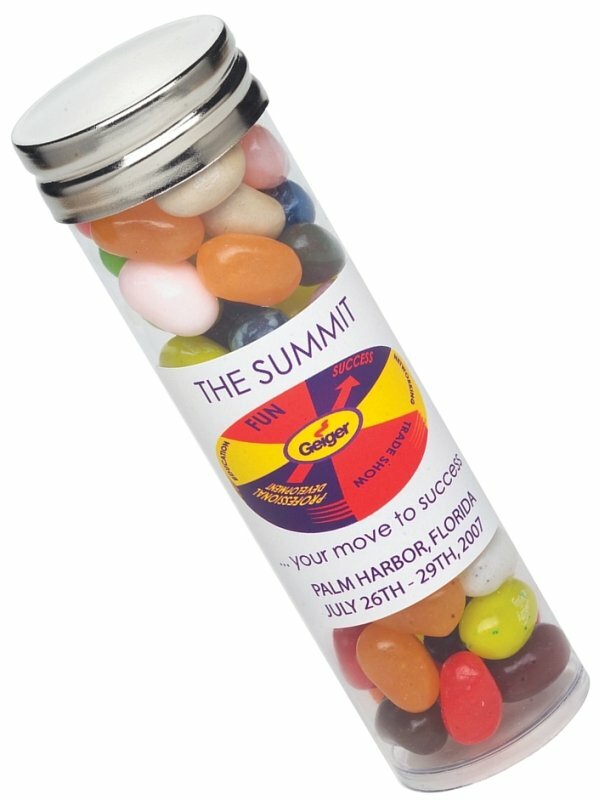 Satisfy customers or prospects with your logo 4CP printed on Large Jelly Bean Tubes. Applications include conventions, conferences, trade shows, advertising, marketing. Features include tube with cap filled w/ 3 ounces of Jelly Belly® Jelly Beans. Overall size of the tube is 4 3/4 high x 1 3/8 diameter. Shrinkwrapped. Jelly Belly® Jelly Beans are proudly Made in the USA. Price includes almost unlimited print colors in area 1 7/8" w x 1 7/8" h.
as is possible using std. four color process printing.